Be kind to your back! 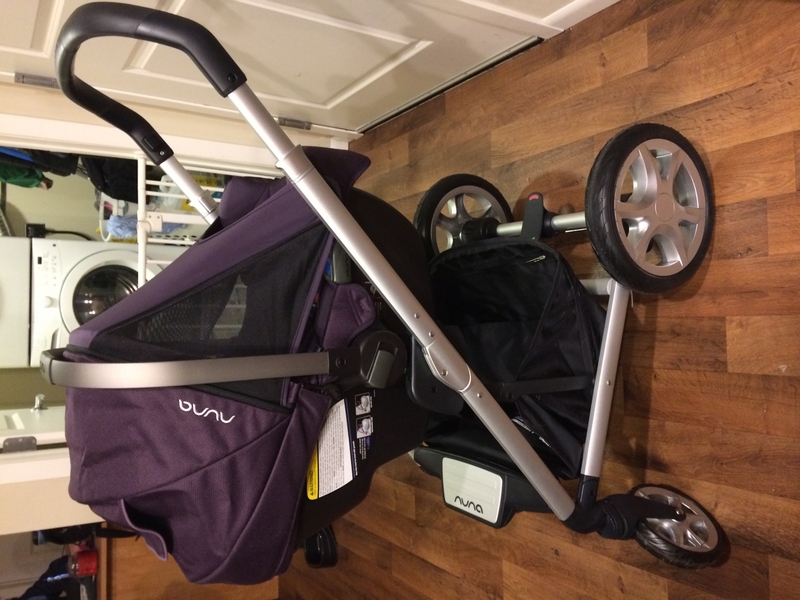 Something no one seems to mention is how easy and smooth it is to collapse and unfold the Nuna Mixx compared to other large strollers. There's no jerking and kicking involved which can hurt your back, especially if you have pre-existing back problems. I like this stroller very much. It's very nice and easy to assemble. My husband and I like it very much. It's cool to take the baby out! ï¼ A very satisfying online shopping. Great quality and price to get, recommended! We didnâ€™t have an opportunity to use it as our baby is due in more that a month , but Iâ€™m already in love with this stroller! The look, the quality and the price is worth it ! Very easy to set up. Great quality of materials. Suspension seems great! The bassinet is very roomy and sturdy. First the delivery worked out fantastic. It was simply to put everything together. Quality is amazing! Pricing unbelievable good! I was very interested in Uppababy before coming across this. The savings offered in this package was too good to be true. Its a nice set and the quality is just as good as the Uppa, but more manageable to handle. Easy to use with a smooth ride. I love that it lays flat. Love this stroller! Just received this as a gift, baby is not here yet but I've tested it with my older kids. Yes, my 6 year old can fit in it (squished) and says its very smooth. 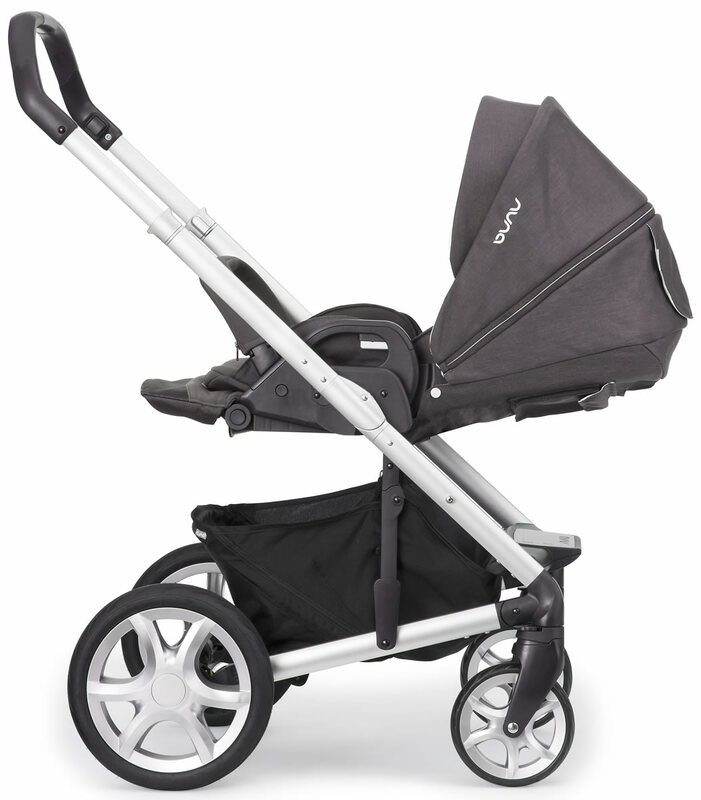 Also, its more compact than our previous strollers, without sacrificing basket space and roominess for baby. Love that it turns tightly and the flip flop friendly brake! 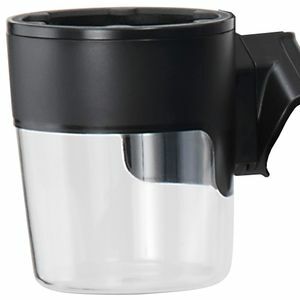 Wish it had a better option for cup and snack holder, but there are plenty of universal options out there. The price here ant be beat and it arrives super fast. Love it! After researching and testing a variety of strollers and stroller combinations, we landed on the Nuna Mixx 2- and couldn't be happier. It's incredibly modular, all terrain ready, and surprisingly compact. 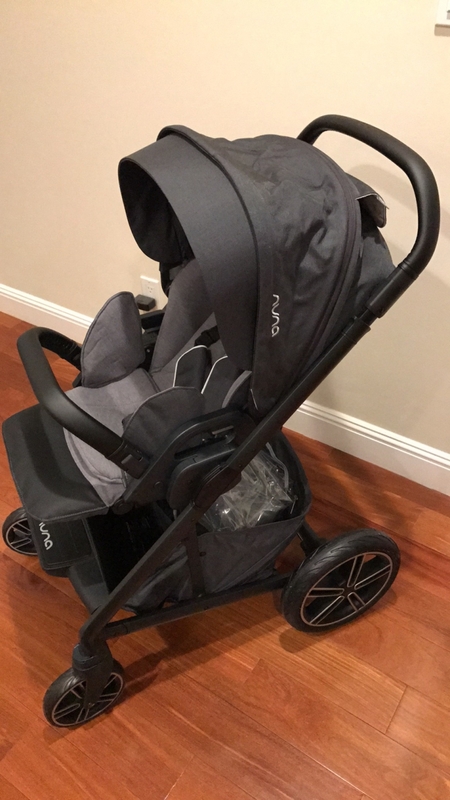 The level of craftsmanship and quality is apparent immediately upon taking the stroller out of the box- the metals and materials are beautiful and soft to the touch. 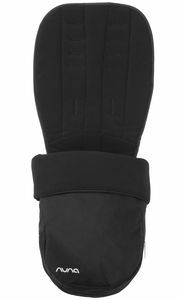 There's ample padding everywhere, zippers are study and high quality, and all of the pinch-prone joints are well protected from little fingers. Assembly is literally a snap, with pieces clicking into place easily and securely. There are a handful of zippers and flaps allowing you to easily customize the shade and breathability. The push is smooth and straight.The Bassinet is large, sturdy, and secure. 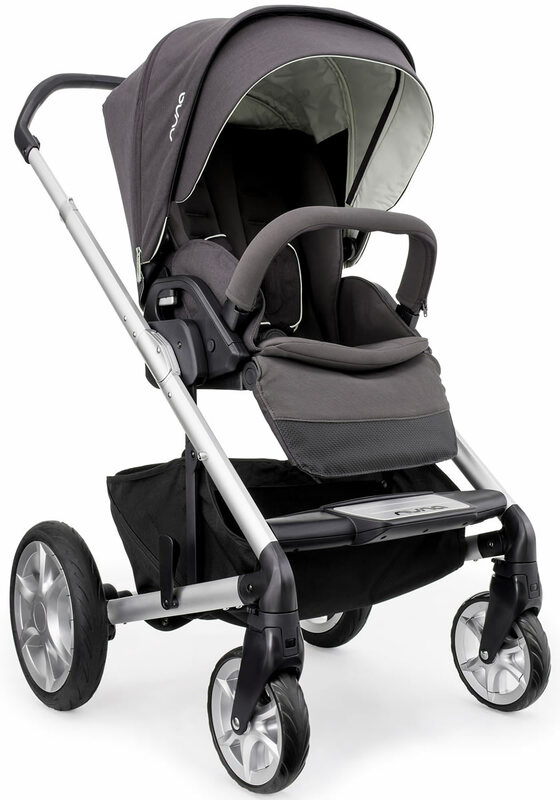 Like the stroller, the materials are very high quality- soft where they need to be, and sturdy everywhere else. It's a bit cumbersome to fold flat, requiring you to remove and disassemble a handful of liners to access the mechanism- but overall this is probably a benefit as it would never collapse on your baby.Can't recommend this combo enough. It's absolutely worth the investment, and the perfect partner to the Pipa infant car seat. Pros - Quality on every surface, from metals to fabrics. - Compact and easy to fold. - All terrain ready. - Smooth push and sturdy stance. Best UsesThe perfect all-in-one stroller for a family who wants to go from city to suburb with a stop at the dog-park in between. I've been using this stroller for our baby girl for the last 5 months since she was born. It was great to use when she was first born because the seat reclines flat and can be adjusted to face you, so there wasn't a need to buy a separate bassinet. 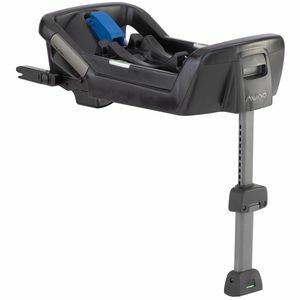 Plus if you get the Nuna Pipa carseat, it's so convenient to snap the car seat in with the adapter. At about 3-4 months, our baby wanted to face outward and sit upright in the stroller. It was super easy to adjust the stroller to accommodate her growing need. We live in the city so walking is our main mode of transportation. We also have about a small staircase from the sidewalk to our apartment so have been able to carry it up and down the stairs by myself (I'm 5'0"! ), obviously without the baby in it, and it's been fairly easy to do. The stroller is easy to collapse and assemble too when we go out with the car. The only negative to the stroller is that Nuna does not make a bigger cup holder or a stroller organizer at the handles (for keys, wallet, etc.). I bought one through Skip Hop and it does the trick but it's not perfect. I looked at so many strollers and finally decided on this one after talking with another parent and seeing it on sale. The color and fabric are gorgeous! The stroller is definitely a high quality product. The basket underneath is spacious, and I love that the seat can face away or towards you. Its easy to fold and unfold and drives well on the flat terrain I use it on. Two things that could be improved are: 1 - a cup/key/phone holder for the parent. 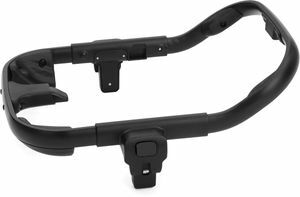 Its frustrating not to have this, and due to the unusual handlebars, I havent yet found one that fits (Nuna Mixx accessory doesnt get great reviews). 2 - the stroller is awkward to get up and down stairs. Three wheels instead of four would help this! Other than this, the stroller is great. Does so much! Bassinet is awesome but not necessary. We really love this stroller. Got it on sale at AlbeeBaby last year. It turns on a dime, handles most terrain very well - I even took it over a muddy parking lot at a farm and it made it!We really love the premium fabrics used in this. It really makes it feel like a high-end stroller.The basket is large but don't expect to do your family's groceries for a week on this.Despite all of its amenities, it is a big stroller and and takes up most of our trunk, but that's to be expected. In the future I may consider switching to a more compact umbrella stroller. Nuna always bring good design to market! This Jett collection bring the stylish look plus good MIXX features. We use stroller together with PIPA seat everywhere and looking forward to use the stroller seat in the nearly further! Before my baby arrived, I did tons of research on which stroller to purchase. I was torn between this stroller and the Uppababy Vista. 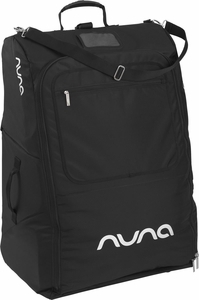 I ultimately decided on the Nuna Mixx and am absolutely thrilled with my choice! It offers a smooth ride, is simple to fold, and is light enough that I can easily move it in and out of my car trunk. The adjustable handlebar is fantastic, as I am quite short and my husband is much taller -- it works perfectly for both of us. I can't recommend this stroller enough! We bought this stroller as a gift for our first grand child. We were very skeptical of spending this much money,but after receiving it we couldn't be happier.Well worth it!!!! This stroller is everything they said it was and more.It's well made and so easy to use. ProsIt's light which makes using it even easier. Pricey but well worth the money! I absolutely love this stroller! It was very easy to put together but it is also very sturdy. My favorite part about it is how far the visor comes down! It keeps sun and wind out of my child's face! Highly recommend this stroller! We started with the Nuna Pipa car seat- best safety features I could find - this is the matching travel set including stroller and bassinet. It is the most stylish stroller out there with no cheesy plastic chrome and mostly all black wheels. Fabric is more gray than image shows. My family lives in an urban environment and our home is small. We don't have a lot of space for a large, fancy stroller, but still needed something sturdy enough to handle city sidewalks and walks through the park. After much research, my husband and I decided on the Nuna Mixx and after 7 months of use, we couldn't be happier. 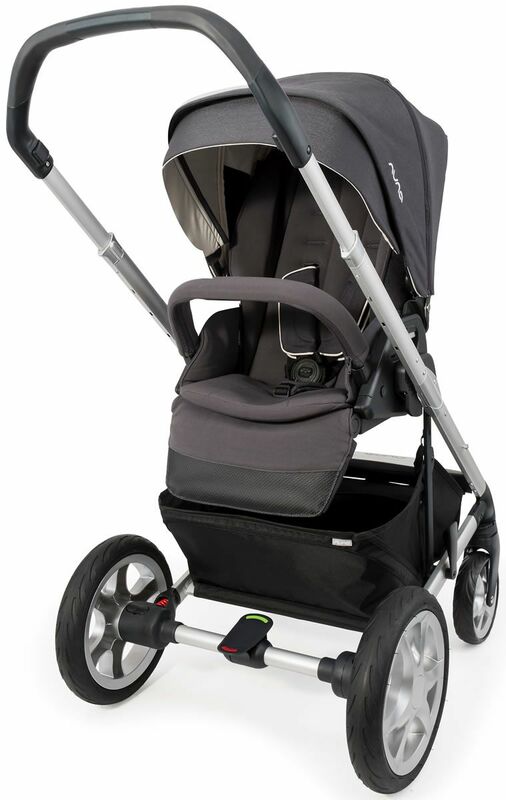 This stroller's quality is apparent immediately, and the wheels and shocks are strong enough to handle quite rugged surfaces. The adjustable handlebar is also great, as my husband and I are both fairly tall and wanted a stroller that wouldn't force us to bend over uncomfortably when using it. My baby rides comfortably in the Mixx, and we also get a lot of compliments on it. It is an attractive stroller that appears far more expensive than it is, and I personally feel that $499 is a completely fair price for what you get. As a bonus, the complementary adaptors for the Nuna Pipa carseat (also an excellent choice!) 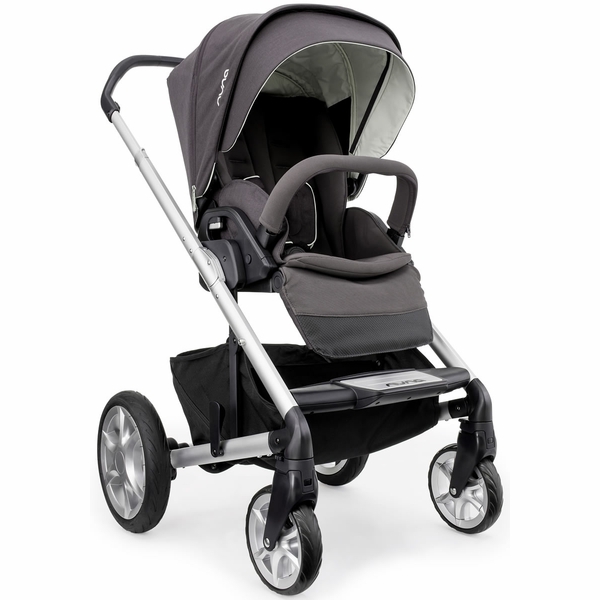 are an awesome addition, as we have frequently used the stroller this way as well, particularly while traveling. Really happy with this stroller. What differentiates this from others at this price point is the great fabric, almost completely flat recline (great from newborn), and i love that when it's folded up the stroller fabric/seat doesn't touch the ground- handy for keeping things clean. The one star demerit is due to a small decorative cap missing from one of the wheels (but that is bejng resolved so just a minor inconvenience at this point). The pipa is super easy to put together and has a very smooth roll. The handle is amazing for all heights of users. It has a great modern sleek look. Definitely worth the money. Can't wait to stroll with my grand baby! we got this stroller for our first baby boy in the basil color. We travelled with it all the way to India when our baby was 3 months old. It was so easy to navigate through the busy airports enrollee and our baby snoozed well int he stroller since the seat gives a beautiful bassinet recline. 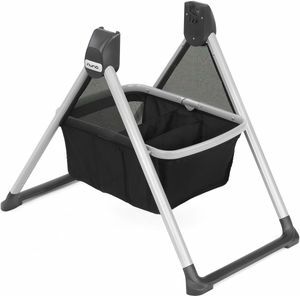 the large basket with a foldable compartment accommodates for a big diaper bag and other stuff. 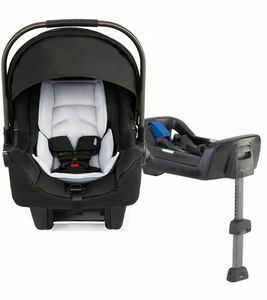 its easy to replace the stroller seat with Nuna Pipa car seat. I love the big wheels with shockers. it rides like a lexus ;) Also the extra large canopy with 3 ventilating windows makes our evening walks awesome. Would highly recommend this if you travel a lot and for walking on different terrains. The design and features of this stroller are awesome. Love that it comes with the carseat adaptors, easy to adjust seat and very light when taking it off to turn around or replace with carseat. This stroller is so sleek and nice ! Very easy to set up and very smooth. Would recommend! Amazing stroller, easy to use! This stroller is everything I was looking for! It was super easy to assemble and extremely user friendly. It handles so smooth and folding it is very easy. 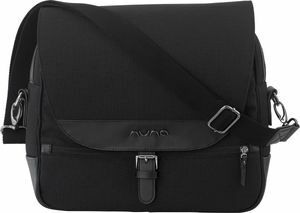 It's great for city and rural strolling. Overall, I'm really happy with this stroller. I love that the toddler seat can be removed and the Pipa car seat can easily be attached with included adapters. The suspension is great - you can get over bumps and even grass without a problem. I love the huge basket to fit groceries, diaper bag, etc in. The canopy on the seat is huge and the magnetic peekaboo window is awesome. The stroller is a little on the heavier side, so it can be cumbersome bringing it up and down the stairs in our apartment complex. However, with all of the awesome features, I understand why it's a bit heavier. We originally got a Cybex Iris M-Air stroller, and it could not handle the city sidewalks at all - it rattled around everyone. The Mixx can handle any terrain that we encounter in the city. ConsOn the heavy side, two handed fold, "curb pop" could be improved. 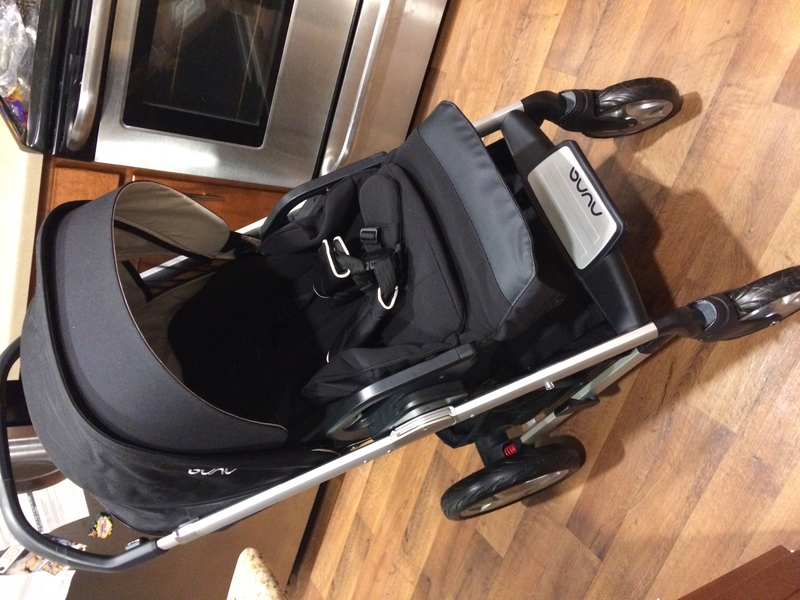 I spent a lot of time researching strollers and am so glad that I went with the Mixx. The obvious other contender was the Uppababy vista. This one is much cheaper and has all the same features except that you can't add a second seat. I love the recline and huge canopy. It's also very easy to switch back and forth from the car seat. The range of motion is amazing. Definitely worth the money. Love this stroller! Color is beautiful. Very well put together. Relatively intuitive on how to work the stroller. I like how the carseat fits into the base (although it is a pain to have to use the adapters and I am afraid they will eventually get misplaced). Given that our baby was born at 6.5 lbs, the stroller straps do not fit. He slides all throughout the stroller so it is best to use the carseat + base for now. It doesn't look like he will fit into the stroller straps until he is at least double in size. Can turn on a dime and easy to maneuver. I have not had issues with squeaky wheels as I have read in other reviews. Ample storage space. My husband is 6'4" and he doesn't have to lean down to push. Overall, great stroller. ProsSeat can face both directions. Non-toxic materials. 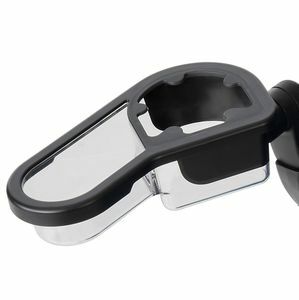 ConsNeed adapters for carseat (comes with the stroller but are a pain to have to use). We use this stroller in the city with uneven sidewalks and it's so easy to push. You can do a one-handed push as well. I love the one step fold no matter which way the seat is facing. We wanted a simpler, sturdy stroller and we found it. The shade comes down pretty far. I hope they start making more accessories! Easy to put together. Gliding ride. I love this stroller so much! Everything was even better than I expected. This stroller is fantastic! We have been using this stroller for the past 5 months and couldn't be happier with our purchase. It is super simple to attach/removethe Nuna Pipa infant seat as well as switch out to the toddler seat that comes standard with this stroller. I am able to easily fold this up and cart it around without issue of it being too heavy or difficult to lift/operate. I am 5'4'' and my husband is nearly 6'4'' and we enjoy being able to switch heights of the handle bar for comfort. I would absolutely purchase this stroller again for a second child, but thankfully, I don't think we will need to as it seem quality enough to last multiply children. We get tons of compliments on it too! This is a truly user friendly stroller. All of the features seem well thought out. The stroller has a lot of bells and whistles in a pretty compact package. The one button reclining seat works great and allows the stroller to become a bed without any disturbance. The reversible seat simple to change, and folding it up takes two seconds. The only drawback so far is the clips to lock the front wheels in place are a bit chintzy but the feature itself makes the stroller much more useful on uneven terrain. Beautiful stroller, great quality, and great padding for baby! This stroller has awesome steering! Very light weight and easy to fold. 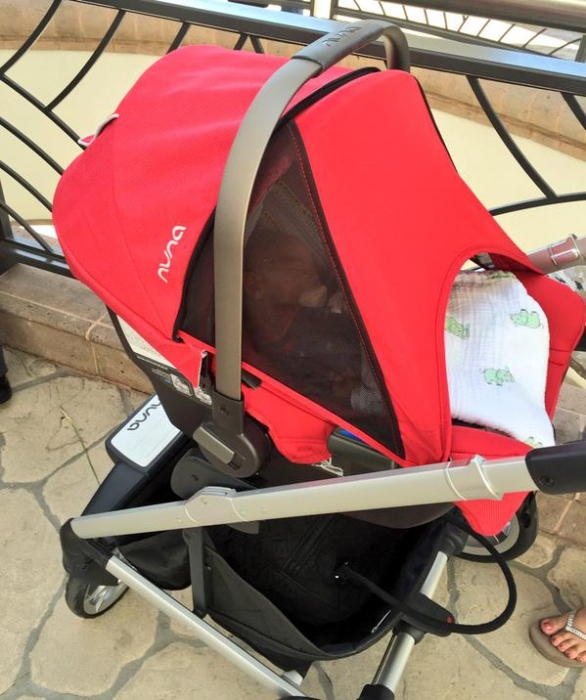 We love our Mixx stroller! It is super easy to open and shut. I can lift it in and out of my car without needing any help! It glides on any surface you are strolling on. Love that it can fold flat for baby to nap! Drives better than our car! We love the Nuna Mixx. This stroller is very easy to fold up and transport despite it being just a tad on the heavy side. The adapters for the Nuna Pipa are super easy to use and we love the ability to have our baby face us in the regular stroller seat. I also love that this is one of the only strollers we found where the seat lies all the back to flat. It drives very smoothly and is easy to maneuver on bumpy sidewalks. Aesthetically, this stroller is sleek and handsome. It looks much more expensive than it is and the price is phenomenal! Beautiful stroller. Easy to steer and push. Love this awesome stroller. Well made and easy to assemble. Also very easy to use with infant carseat. Great product! Love the paddings in the stroller and the wheels are easy to turn. The best part is the oversized canopy. I love this stroller. My sister got me this for our baby boy, who gets here in a couple of months! The versatility of this stroller is amazing. The basket is HUGE and I love the divider it has. I saw other reviews said it was heavy.. it's really not bad considering what this stroller does. I would have to say one of my favorite things is how much cushioning this stroller has. 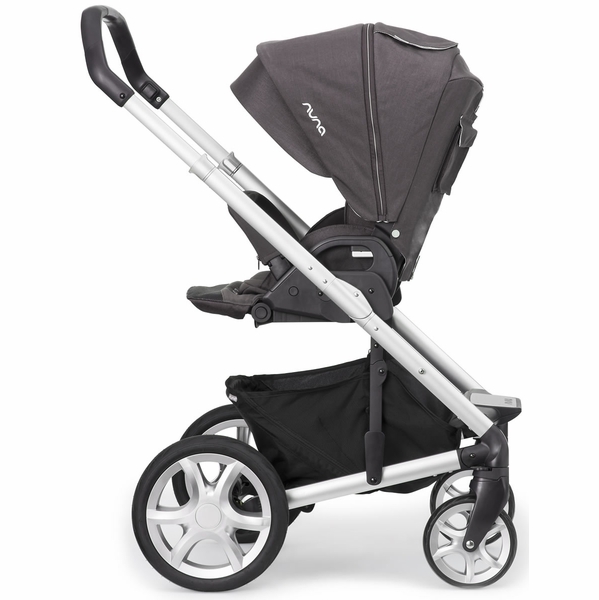 I've searched and searched for strollers and nothing comes close to the Nuna Mixx. I highly recommend this stroller. I did TONS of research on strollers and car seats. 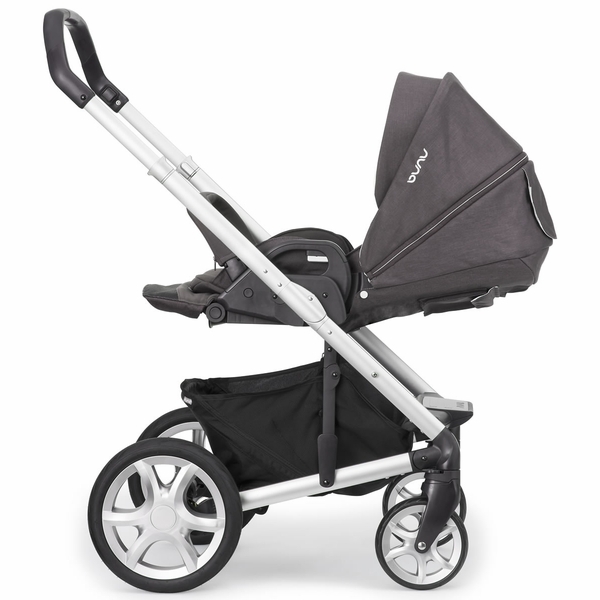 I wanted a Maxi Cosi car seat, so researched what stroller would work with that, and came across the Mixx. This is my best purchase by far!! It pushes with one hand, folds easily and compact, and looks great! My friends call it the baby Cadillac! I recommend it to EVERYONE!! I spent too much time researching the safest, most convenient, and most comfortable strollers on the market for my new son. But it was definitely worth it!Coming across the Nuna Mixx(probably through loving the Nuna Pipa car seat), I thought it was too good to be true. It had all of the qualities I wanted in a stroller(literally, I had a checklist.. it was 100% "all that" and more). It glides like a dream. Literally, it feels like its floating. I barely feel bumps and manuevering is made easy by whatever magic they have instilled in these wheels. This magic also makes it feel like you're barely pushing a stroller(super lightweight). This stroller is absolutely beautiful, very classy. It pairs perfectly with the Nuna Pipa. Super easy to put together(barely two pages of picture directions, no words needed). Easy to fold. Easy to change out attachments/seats. I can't say enough about this beautiful, safe, and convenient stroller!If only Nuna would release the additional attachments: childs tray & cup holder! They've been promised for awhile on their website as 'coming soon'.I'm considering purchasing a stroller organizer(from albeebaby of course) so I can have a few things close to me while strolling.Honestly, any buyer of this stroller will be so pleased. Go for it! Proslightweight, easy to fold, great looking, amazing manueverability. We haven't had been able to use the stroller quite yet since our baby isn't due until August. However, the stroller was very easy to put together. The color is ok, i think it looks somewhat purple depending on the lighting. 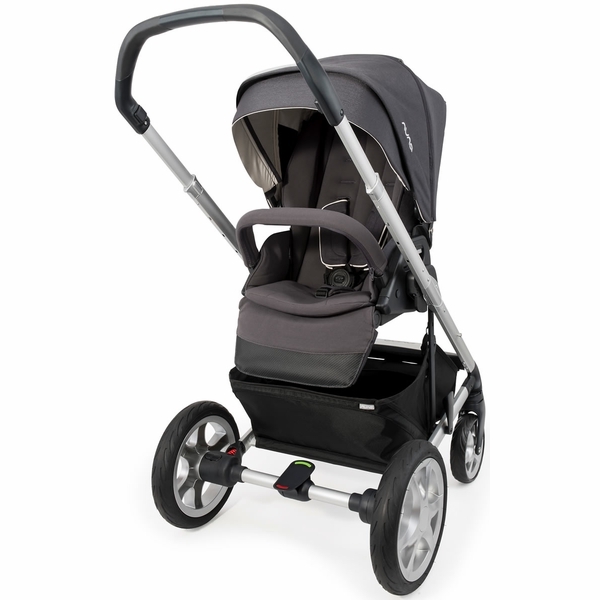 Love the quality and how nicely it pushes over uneven ground (yes we test drove the stroller with no baby!). I gave it 4 stars since they have no attachments available yet but heard they are coming soon. I decided to purchase this stroller after deciding first on the car seat - Nuna Pipa. They work great together. Easy to fold and open and the large basket underneath is very handy. I look forward to using the other seat attachment for walks and runs soon. 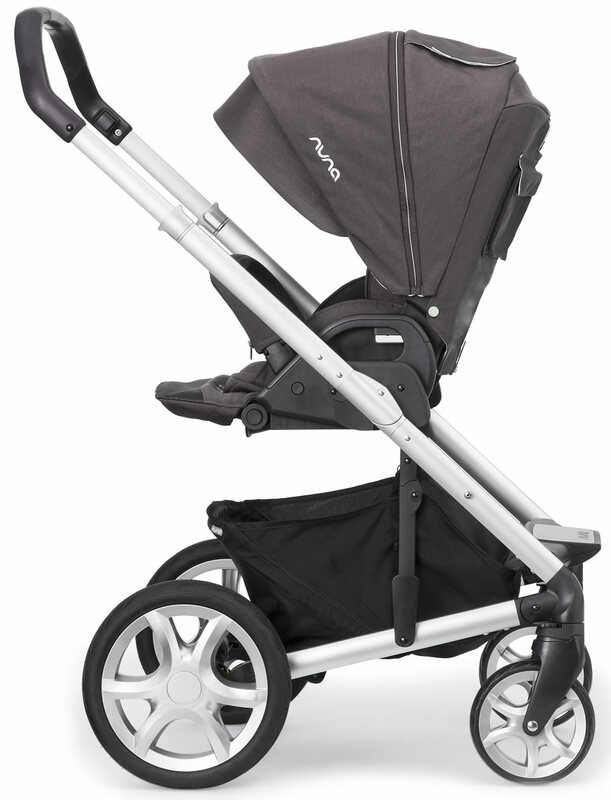 Your baby can face you or face the world in a snap - the Mixx makes reversing the seat a cinch. A one piece fuss–free compact fold that folds with seat facing you or the world. Whether it be an all day outing on cruise control or just a quick spin around the block, the MIXX™ is ready for the stroll ahead. From the car – connecting smartly with Nuna's PIPA™ infant car seat into a tasteful travel system, to wistful walks in the park that drift little darlings off to daytime dreamland (thanks to its naptime friendly true flat sleeper seat and progressive suspension technology) and everywhere else in between that your day may take you. Designed not only to have your tiny rider facing you or out, but to fold looking whichever way as well, all in a convenient, crazily compact way with the seat attached– so your adventures in parenthood can be that much easier.